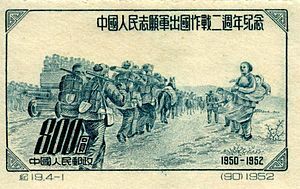 ^ “抗美援朝，保家卫国”. 人民网. [2010-03-13] （中文（中国大陆）‎）. ^ 180师是如何被围歼的. 新浪网. [2010-03-13] （中文（中国大陆）‎）. Spurr, Russell. 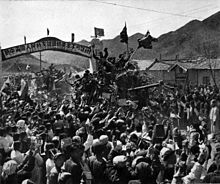 Enter the Dragon: China's Undeclared War Against the U.S. in Korea 1950-51. New York, NY: Newmarket Press. 1988. ISBN 1-557-04008-7. Hoyt, Edwin. The Day The Chinese Attacked: Korea, 1950 : The Story of the Failure of America's China Policy.. New York, NY: McGraw-Hill. 1990. 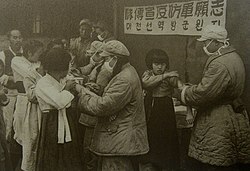 Alexander, Bevin R. Korea: The First War We Lost. New York, NY: Hippocrene Books, Inc. 1986. Mahoney, Kevin. Formidable enemies : the North Korean and Chinese Soldier in the Korean War. Presidio Press. 2001. ISBN 9780891417385. Ryan, Mark A.; Finkelstein, David M.; McDevitt, Michael A. Chinese warfighting: The PLA experience since 1949. Armonk, NY: M.E. Sharpe. 2003. ISBN 0765610876. 军事科学院军事历史研究部. 抗美援朝战争史. 第一、二、三卷. 北京: 军事科学出版社. 2000年9月. ISBN 7-80137-390-1. Roe, Patrick C. The Dragon Strikes. Presidio. May 4, 2000. ISBN 0891417036. Shrader, Charles R. Communist Logistics in the Korean War. Westport, CT: Greenwood Press. 1995. ISBN 0-313-29509-3.